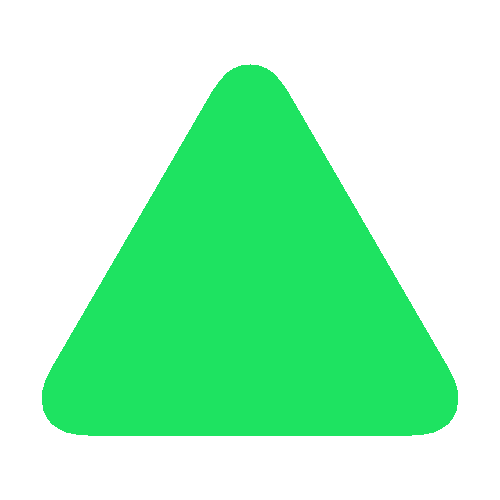 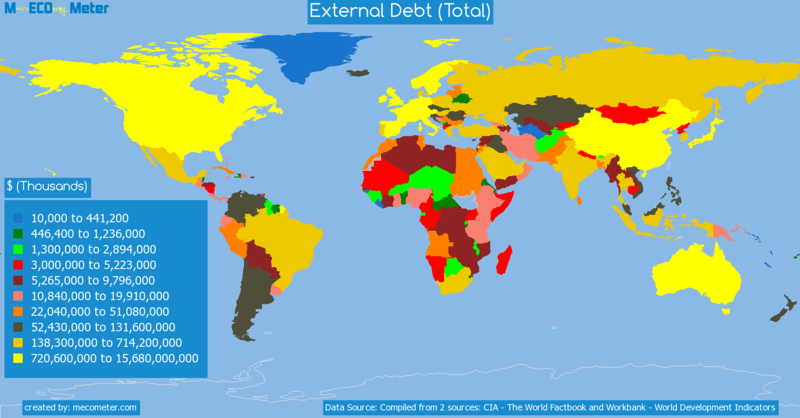 Value & RankThe External Debt (Total) of Indonesia is 224 ( billions of $) with a global rank of 32. 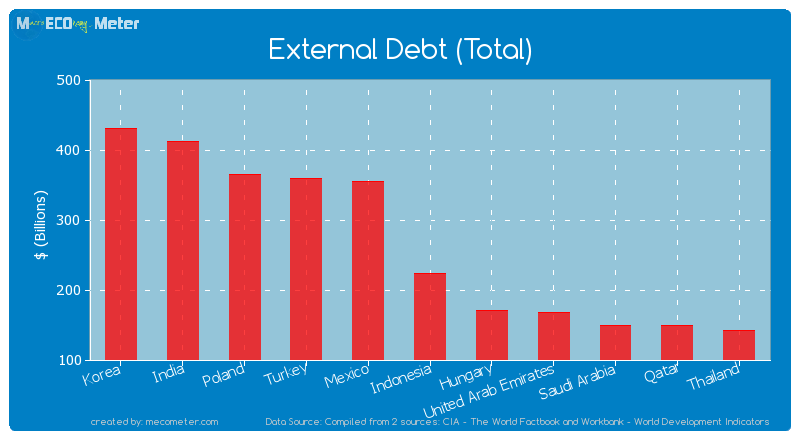 Indonesia compared to other CountriesThe External Debt (Total) of Indonesia is similar to that of Korea, India, Poland, Turkey, Mexico, Hungary, United Arab Emirates, Saudi Arabia, Qatar, Thailand with a respective External Debt (Total) of 431, 412, 365, 360, 355, 170, 168, 149, 149, 143 ( billions of $) and a global rank of 27, 28, 29, 30, 31, 33, 34, 35, 36, 37.10 years growthIndonesia's External Debt (Total) had a positive growth of 64.9 (%) in the last 10 years from (2003 to 2013). 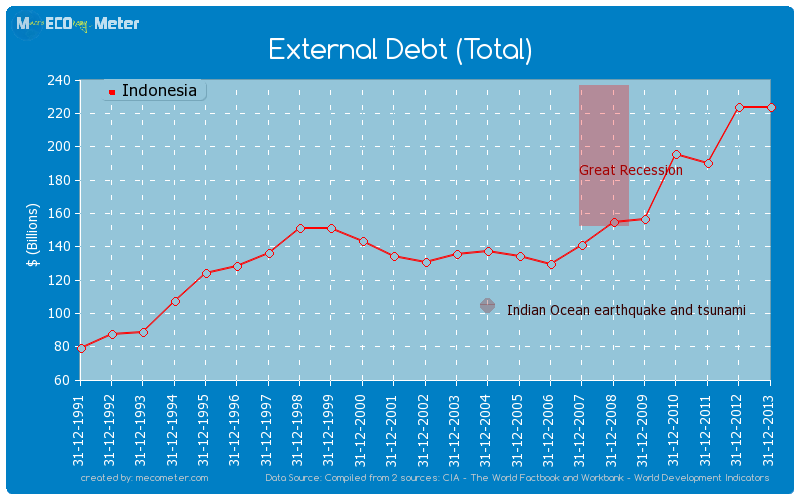 Last 10 years averageIndonesia had an average External Debt (Total) of 166 ( billions of $) in the last 10 years from (2003 to 2013).